When you start planning a social media campaign, one of the first things you need to figure out is what network—or networks—you’re going to run it on. Not all social media platforms are the right fit for every campaign, but you can get real results by figuring out which combination is best for your brand. I spoke to Hootsuite’s expert social media team—Social Media Specialist Christine Colling, Global Social Engagement Specialist Nick Martin, and Social Marketing Lead Amanda Wood—to find out top tips and tactics for running a successful cross-platform social media campaign. While you may have read the title of this post and said “Easy! Just copy and paste the same content to all my different networks, duh” it’s my civic duty to tell you that you’re misguided. Have you ever seen what it looks like when somebody uses an Instagram-level of hashtags on a Facebook post? Or when someone tags somebody else and the tagged person’s username is different on different platforms? Not pretty—or professional. Every network has a different set of required specs for content, so if you’re posting an Instagram image to Twitter the quality might be poor. Not only that, but, as we explain in our post Stop Posting the Same Message on Social Media (And Do This Instead), “things like caption length, image formatting, and vocabulary differ by platform. Sharing the exact same post on all of them means you might accidentally end up inviting your followers to retweet you on Facebook, or Pin your post on Instagram.” How embarrassing. It’s also important to make sure you aren’t boring your audience. “You want to do anything to avoid audience fatigue,” Martin explains. “If you’re posting the same content on all of your channels, you risk audience members seeing the exact same thing from you over and over again.” If you’ve ever experienced this from a brand, you know just how annoying it can be. Instead, think of your campaign as a story you’re telling across different mediums. You want the story to feel connected and cohesive, but not repetitive. Continue reading to find out exactly how to do this. Our social media team has found that each network is best suited for a specific type of content. They share their experiences and insights—along with issues particular to each network—below. Once you know who your audience is, it becomes much easier to create content that will resonate with them. For Facebook, our team has found that Facebook users want more storytelling content instead of being continuously served ads.So it’s important to find creative ways to intrigue our audience. Facebook is especially useful when it comes to the overall brand awareness aspect of your campaign. Takeaway: when designing your campaign, consider using Facebook for storytelling and education focused posts that contribute to brand awareness objectives, particularly in video form. Before you share your campaign on Instagram, you need to think about whether it fits into your overall strategy. Our Hootsuite Instagram feed features user-generated-content and lifestyle content, so sharing a campaign post wouldn’t align with our strategy. However, we have found great success sharing our campaigns to Instagram Stories and IGTV. It’s all about finding what works best for your brand. For example, if you’re running an ad on Instagram Stories for an upcoming webinar and your audience has to swipe up to register, make sure there aren’t any barriers such as pop-ups or passwords. You want to do everything you can to ensure they are able to fulfill the action without abandoning your site. Takeaway: In a mobile world, it’s important to simplify the process as much as possible for your audience. The fast-paced and news-focused nature of Twitter means you have to be extra conscious of the campaign content you post there. If you’re advertising a campaign webinar, Tweet out the key elements of your message—date, time, topic—and leave any teaser info out. The Twitter timeline is jam-packed with content and distracting visuals, so you want to make sure your message doesn’t get lost in the crowd. Our team has found that social cards (a digital postcard), GIFs, and static images work great for campaigns. Social cards allow your brand to clearly share crucial information in a visually-appealing way, and other images such as GIFs fit in with the way users are interacting with Twitter. Again, it’s about knowing your audience on the platform. If you’ve seen your followers engage with GIFs in a positive way or notice a boost in webinar sign-ups after sharing social cards, you can take this data and apply it to future campaigns on Twitter. Takeaway: Give your audience the key information they need—right away. When it comes to LinkedIn, your audience is looking for very specific content. Where a video you shared on Facebook might be about brand awareness and feature more storytelling components, you can switch up the video’s main message for your LinkedIn portion of your campaign to show your audience exactly what they’ll learn in your webinar (for example) or why other professionals will be watching the webinar. FOMO is real on LinkedIn, but with some quick changes to your copy and visual assets you can easily create content that resonates with your audience there. Takeaway: Focus on posting educational content that helps your audience improve an aspect of their lives—and be clear about why they shouldn’t miss out. When determining metrics for your cross-network campaign, it’s important to have your ultimate goal in mind. Are you trying to get leads? Event sign-ups? General brand awareness? The metrics you measure will depend on your campaign goals. Like content, your metrics could be different according to the networks you’re running your campaign on. While general engagement (likes, comments, etc.) will usually be tracked across platforms, specific metrics such as Swipe Ups for Instagram Stories or Retweets on Twitter should be acknowledged and defined in your strategy. Like many aspects of a cross-platform campaign, metrics are not always a one-size-fits-all solution. When running a campaign across multiple networks, you have to be extra diligent about metrics and tracking. Tracking and measuring success allows you to better plan for your next campaign. Our team recommends testing content with your audience, and cutting out any audience groups that aren’t performing. For example, you may notice that your campaign is really resonating with female executives. If this is the case, it might make sense to stop putting budget towards male students and redirect that budget towards your better-performing audience. By constantly testing different content and tracking the metrics of each platform, you can easily figure out how to make your campaigns more efficient in the future. Hootsuite can help with your cross-platform campaign in multiple ways. When it comes to getting the word out about your campaign, Hootsuite Amplify can be a huge help. Amplify will enable your company’s employees to share your campaign to their own social media community in a way that’s more personal. With 76 percent of consumers trusting information shared by others over content shared by brands, this could make a huge difference for your campaign. You can also use Hootsuite to add UTM tags to your content to track your campaign more easily. With UTM parameters, you can see what content is performing best, measure and prove ROI, and refine your social media strategy overall. Keeping track of your campaign’s moving parts across different networks can be another huge challenge for marketers. Hootsuite Planner allows you to survey all your scheduled and published content, create new posts, and organize existing ones. Find out more about Planner here. 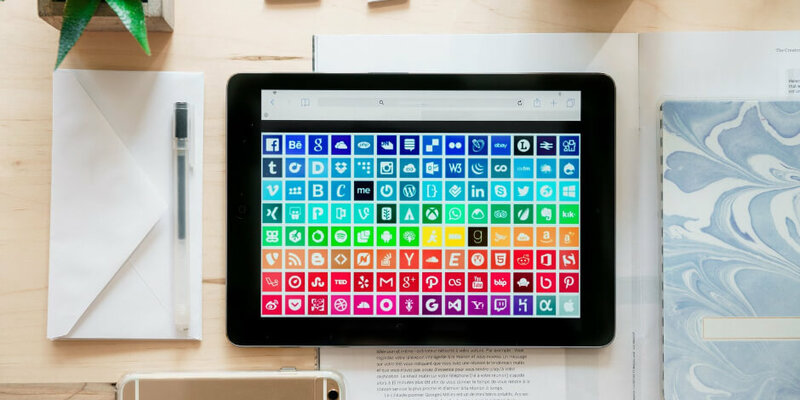 Running a cross-platform social media campaign is no easy task, but with the above tips and Hootsuite’s tools you’ll be on your way to success in no time. Make sure to check out this list of examples of top social media campaigns for inspiration, too. Run your cross-platform social media campaign with Hootsuite. Easily compose, schedule, and publish posts to all the major social networks from one dashboard, while tracking results and testing performance. Try it free today.